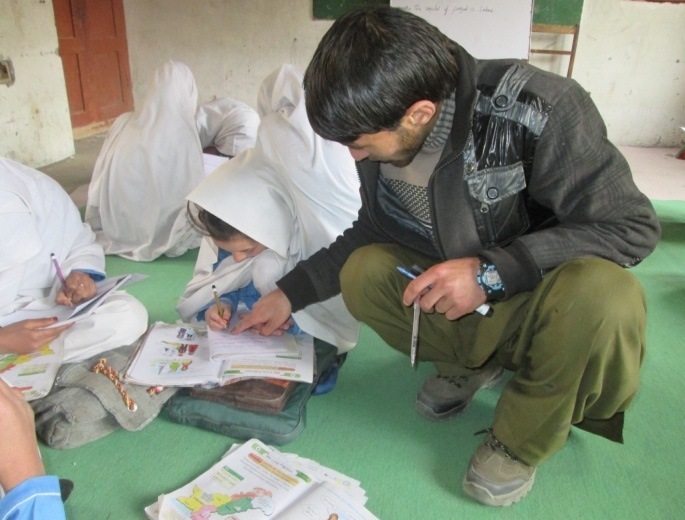 "Soon after my graduation, I joined a primary school in Basha Shigar in Baltistan as a teacher. I thought that teaching was a very easy profession that anyone can perform easily. But in reality, I learned that only professionally trained teachers can perform this role well. I faced difficulties in managing the classroom and controlling the children as an untrained teacher, and soon I became fed up with teaching and wanted to leave the profession very soon. Fortunately, Iqra Fund provided me the chance to attend a two-week long primary education training course at the Professional Development Centre North, an institute affiliated with Aga Khan University Institue for Educational Development. This institution helped me understand the actual meaning and teaching and helped me develop various teaching methods, such as teaching techniques, lesson planning, and developing learning activities. Since that training, I have found renewed meaning my profession. I use a new method or approach daily for my lesson, and I am always surprised to observe my students’ behavior towards the lesson. My students do their assignments and enjoy working with their teacher. I believe that the teaching profession depends on how the teacher feels towards and looks at the job." This Ramadan, your Zakat donation to Iqra Fund will help us continue our teacher training program, so that our teachers can get the tools and resources they need to deliver a quality education and nurture the curiosity and intellect of our young students. All Zakat donations will go directly toward programming needs inside Iqra Fund classrooms, and will not be used to meet administrative or overheard costs. We hope you consider supporting girl's education in Pakistan with your Zakat this Ramadan.